We developed this site for one reason, to help people just like you better navigate the process of finding a hard money lender. We've been there before and we know what it's like to search for a company that provides private money loans. Oftentimes we spent hours searching online for companies that were licensed to provide loans in our state(California). We came to find out that there are many promises provided by hard money lenders but few if any could stand behind what they were offering. We asked ourselves, "wouldn't it be better to group and break down all the hard money lenders into one list?" That's exactly what we've done, and we hope this list of hard money lenders can help you as much as it's helped us. As you probably know by now, it's easy to find a hard money lender online. Do a google search and you will see dozens of company that provide these high dollar loans. The problem you will run into is twofold. Most of us don't know what to believe. Also, we don't know if we are taking a loan with the lender that best suits our needs. Let's say you need a private money loan with a funding window of 3 business days. There are some companies online that claim to provide this funding window, but can you trust them? Or, lets say you need to find a company that provides build to flip loans in California. This lender needs to offer a Loan To Value of 70% of the entire future value. There aren't many companies that provide these features and it can take days to find them online. Hopefully our site offers a solution to those and many other similar problems. Our site features a list of many hard money lenders all throughout the State of California. We're always on the lookout for new companies that provide hard money loans as well. Please contact us if you know of any California lenders not shown in this database. Additionally we try to list as much information as possible about each company. We also detail their lending terms and any special features or programs they may provide. While we tend to focus on California lenders, that doesn't mean we don't list companies from other states as well. Our database also features dozens of companies in nearly every state. Did you know that Texas is fast becoming a leader in hard money loans? That's right, we hear from more companies in Texas than any other state when it comes to companies wanting to be added to this database. This site isn't only about a list of hard money lenders. We also feature resources that are designed to make things easier for those in need of private money financing. Use our various financial calculators to determine which loan terms are best for you. Read up on our various blog posts that cover all angles of the hard money scene in California. Lastly, don't overlook our articles and references that delve deep into the regulatory side of hard money loans in California. While most private lenders are regulated it's important that you understand exactly which restrictions and rules each private lender needs to follow. We're not attorney's and we never want to give legal advise. With that, we feature links to articles and posts from government sites that have covered private money lending for years. 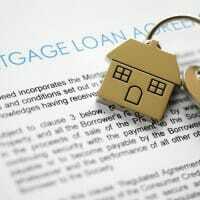 You can also use this links on this site to find the latest rules and conditions offered by lenders in California. Our goal is to make the the process of getting a hard money loan as easy as possible!